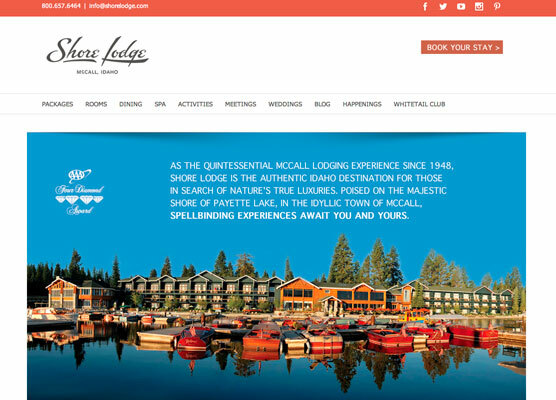 Etainia launched a new website for Shore Lodge in 2011 which greatly enhanced its presence in search results and expanded its content in several ways. 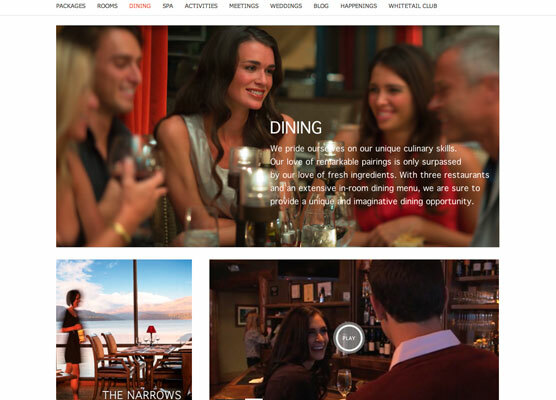 Collaborating with the resort’s Miami-based marketing agency, Smartthinking, etainia just redesigned the website in a new responsive mobile-centric format (August 2014). 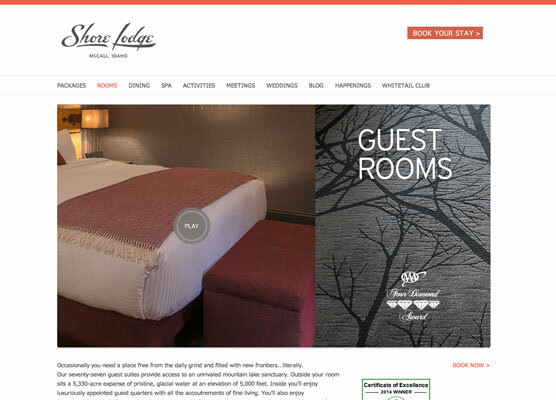 Emphasizing the lifestyle activities featured by this four-season resort, a more image-driven design with video enhancing the story in several sections. An new Activities section now rotates by season, the rooms which recently went through a major redesign of their own are featured in large images with an introductory video that features the indoor-outdoor nature of the lodge and the balconies feature on many of the Lake View Suites. 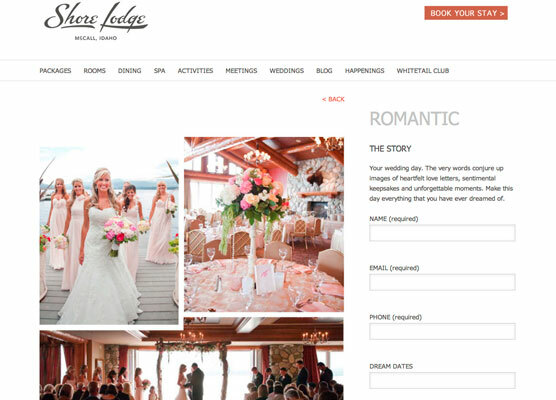 To facilitate group sales, the Meetings and Weddings sections were given more attention and detail. Etainia provides ongoing maintenance, search engine optimization and hosting.